Dr. Yuri Yevdokimov is Professor at the University of New Brunswick (Fredericton, Canada). Having completed degrees in economics and engineering, he holds a joint appointment in the departments of economics and civil engineering. 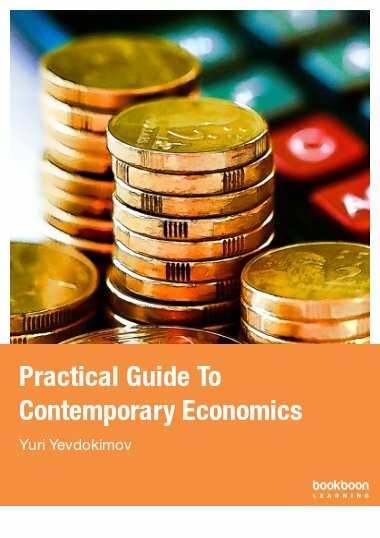 Dr. Yevdokimov acquired his degrees in three different countries: former Soviet Union (MSc equivalent in engineering and PhD equivalent in economics), USA (MSc in economics) and Canada (PhD in economics). Dr. Yevdokimov’s research interests lie in the field of sustainable development particularly sustainable transportation and sustainable energy and economies in transition. His work has been published in academic journals and conference proceedings in USA, Canada, France, Greece, Germany, India, China, Croatia and former USSR, particularly in Russia and Ukraine. To date Dr. Yevdokimov has more than 20 publications. One monograph, one textbook, nine refereed journal articles, and nine chapters in books are among these publications. Dr. Yevdokimov is a recognized international expert in the field of sustainable development and climate change. In 2001, he published a monograph The Chernobyl Accident and Soviet Economy dedicated to economic consequences of the Chernobyl accident in 1986 – the largest environmental disaster in the former USSR. In 2004-2005, he participated in a project “Modeling Potential Changes in Demand for Freight Transportation in Atlantic Canada due to Climate Change Impacts” with Natural Resources Canada. In 2006, along with Dr. Molchanov he published in Germany an article “Sustainable Development of the Caspian Sea Energy Resources” in monograph Building a Transnational Civil Society. In 2007-2008, along with experts from 15 countries he participated in an international project which resulted in publication of an international textbook Social and Economic Potential of Sustainable Development. In 2010, he published a chapter “Climate Change and Transportation” in International monograph Climate Change and Variability. In 2011-2013, Dr. Yevdokimov has been working on the project “Economic Consequences of Climate Change Impacts on New Brunswick/Nova Scotia Transport Corridor” with provincial governments.